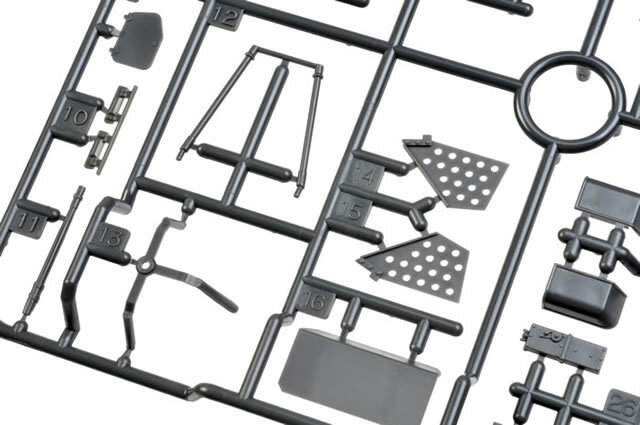 Catalogue Number and Description: Tamiya Kit No. 32574 - German 8 Wheeled Heavy Armoured Car Sd.Kfz.232. 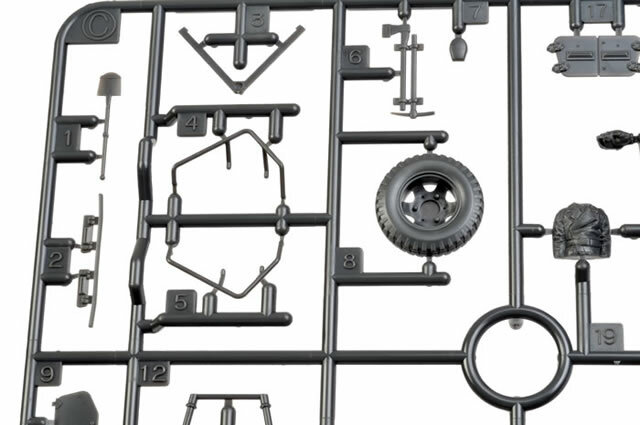 Advantages: Simple parts breakdown but very well detailed; includes poseable Commander's hatch and figure; excellent fit; fast build. Bussing-NAG was commissioned to design an eight-wheeled heavy armoured car early in 1934. Before the end of the year they had produced a prototype that incorporated eight-wheel drive and eight-wheel steering with front and rear driver positions. Powered by a 150hp petrol engine, the vehicle could reach a top speed of 90 kph and was fitted with a turret carrying a KwK 30 20mm cannon and an MG 34 machine gun. During production the relatively thin 14.5mm armour was supplemented with additional, factory fitted, frontal armour plating. Being equipped with an Fu.11 radio, the Sd.Kfz.232 became the eyes and ears of the Wehrmacht and were deployed as armoured reconnaissance vehicles and on all fronts. 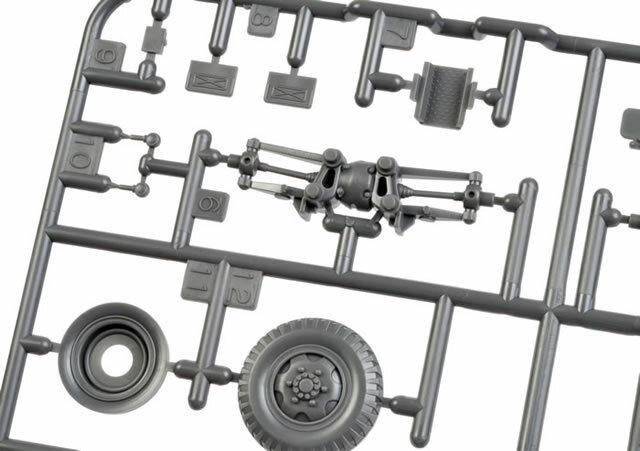 Tamiya released their original 1:35 scale Sd.Kfz. 232 way back in 1974, but revived and revised the kit in 2009 with two additional sprues of improved detail parts, a turned metal 20mm gun barrel, stowage and new decals. We have seen some impressive builds since the 1:35 scale kit’s re-release, including Chris Wauchop’s Afrika Corps 8-Rad in Issue 67 of Model Military International magazine. 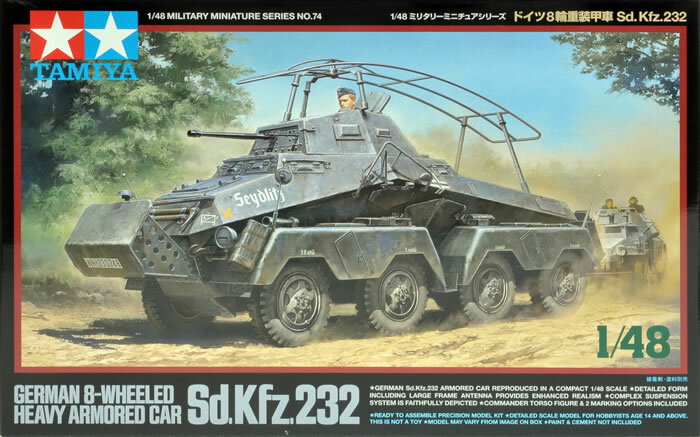 Tamiya has now released a 1:48 scale version of the Sd.Kfz. 232 as part of its growing medium-scale Military Miniature series. 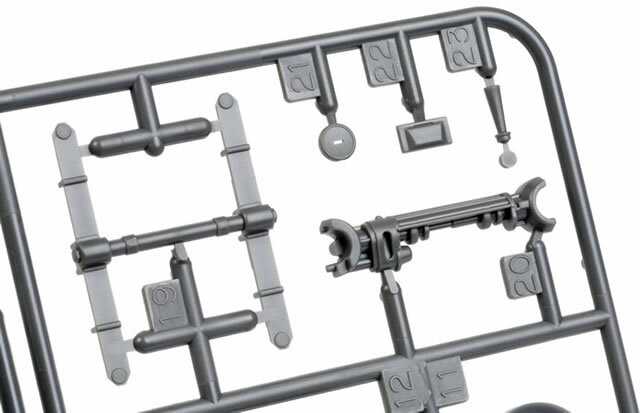 The new kit comprises 119 parts on four sprues of dark grey plastic plus markings for two vehicles. 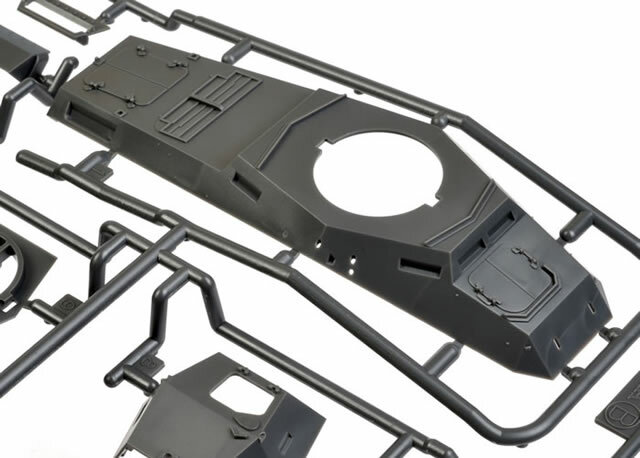 The lower hull is moulded as a single plastic part with some of the underbody detail moulded in place – no heavy metal options offered here! 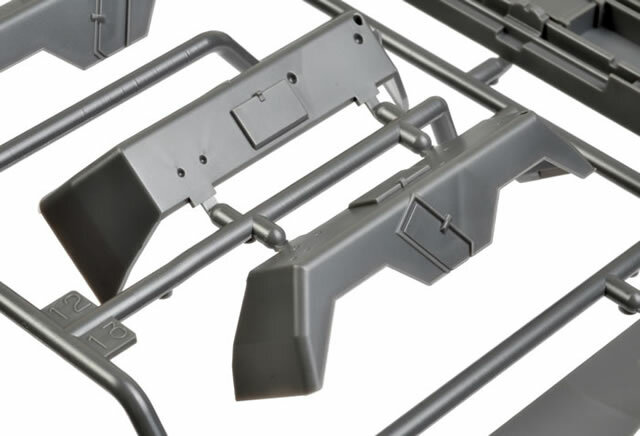 Two pairs of nicely detail leaf springs are made up from just three pieces each, to which are added the main suspension, axles and drive shafts. 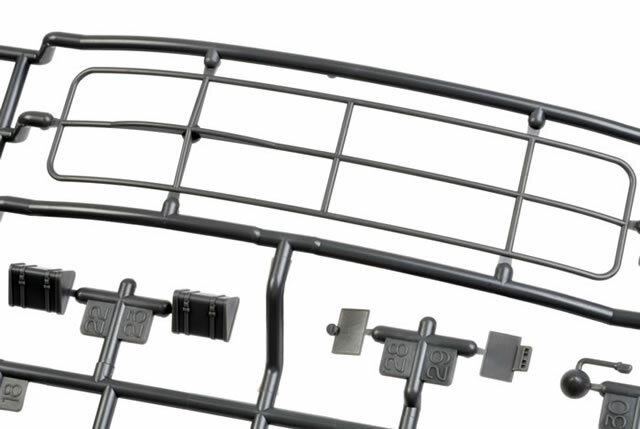 Stowage and tool detail on the fenders and hull are all separate parts. Small detail parts such as the headlights, exhausts and width indicators are all nicely done. The guns are designed to elevate and depress in the front of the turret, and the Commander’s hatch may be posed open or closed. A half-figure of a Commander in a generic European uniform is included too. The two-door rear hatch is separate too, but it is not designed to be fitted in the open position (there is nothing to see inside even if you did the necessary surgery). The characteristic clothes rail antenna is well done. 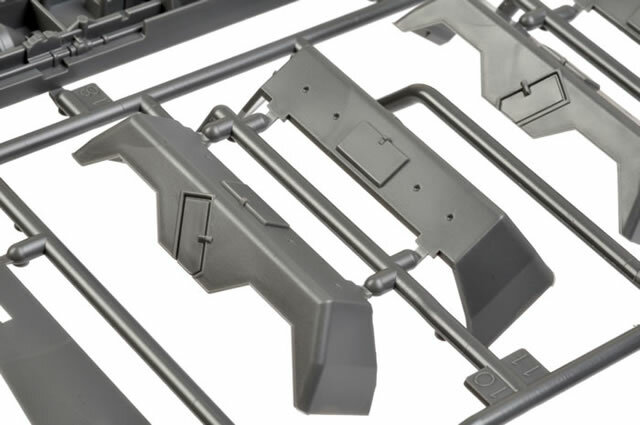 It attaches to the turret via an unglued join that should allow the turret to rotate even after the antenna is in place. 2nd Company Armoured Reconnaissance Battalion, 5th Panzer Division, Balkan Front 1941. 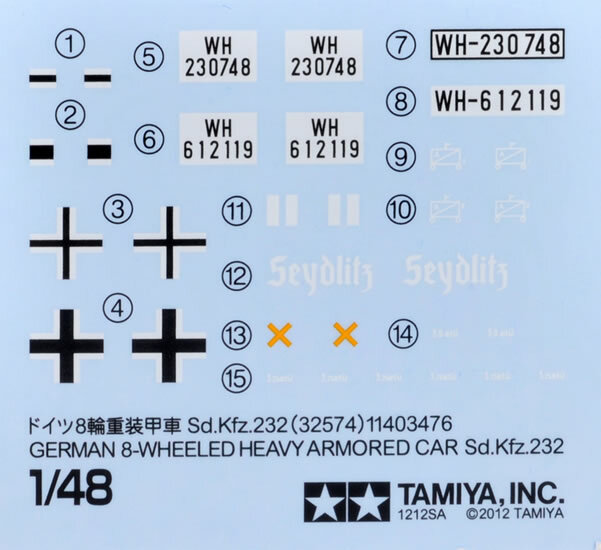 This vehicle is finished in overall Panzer Grey and sports the vehicle name “Seydlitz”. 1st Company, 19th Armoured Reconnaissance Battalion, 19th Panzer Division, Kursk, Russia, Summer 1943. This vehicle is finished in Dark Yellow with Dark Green disruptive camouflage. 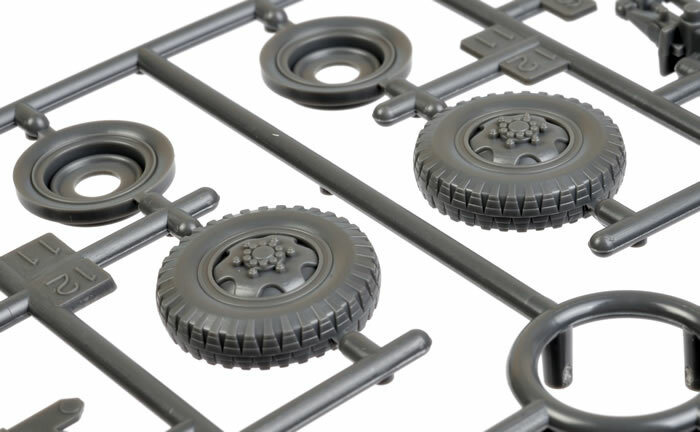 The decals are typical of Tamiya – semi-gloss in finish and in good register. Athough they sometimes look a bit thick on the backing paper, I have always had good results with Tamiya decals. They sit down nicely and the carrier film disappears under a coat of varnish. 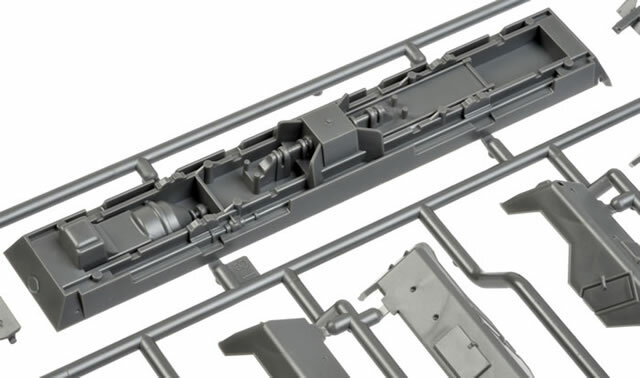 I regularly hear modellers claiming that there will be no more mainstream 1:48 scale military model kits, yet Tamiya continues to pump out winner after winner. I really like these 1:48 scale kits, and I think they deserve success in the modelling marketplace. 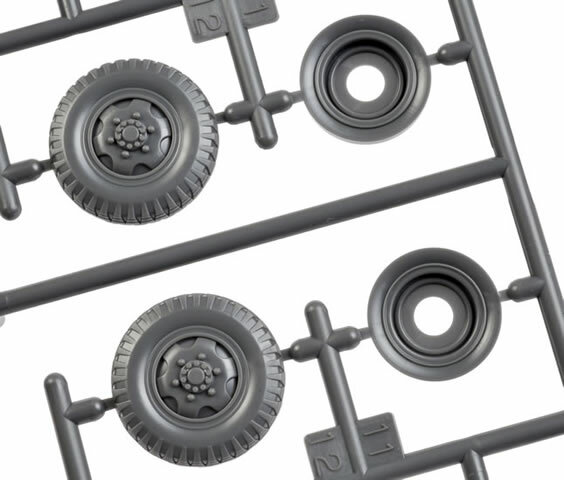 They are nicely detailed straight from the box, but they also represent a good basis for conversions and super-detailing. A number of after market companies have jumped on the bandwagon with resin conversions, stowage, decals and photo-etched upgrades. The relatively small number of parts means a quick build, and all the examples I have built have featured perfect fit. In my opinion, the size of a 1:48 scale military vehicle is, in the words of Goldilocks, “just right” too. Not too big, and not too small. 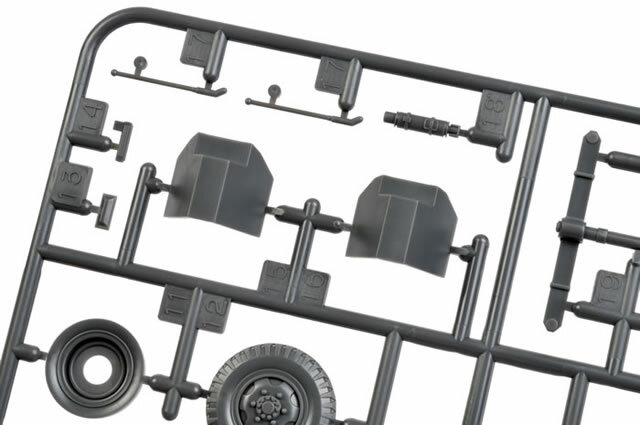 Tamiya has delivered another great 1:48 scale military kit with their brand new Sd.Kfz. 232. May the family continue to grow!